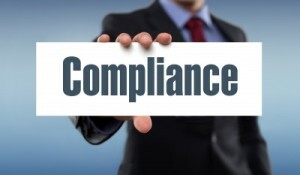 The compliance department is often known as the firm’s very own police department and is not considered as one of the most sought after units within an organization. A capable and proficient compliance department is a necessity for the maintenance of an organizations reputation and veracity. After the crisis that hit financial institutions throughout the globe in 2008, many firms have become conscious of the compliance demands that have been imposed by regulatory authorities. Due to this, compliance as a career option has become popular and firms are continuously looking for experienced compliance professionals to help run their business smoothly. For firms, compliance costs have become rather high in the recent years. However, an argument to that is that non-compliance can land a firm in greater trouble, if not taken care of. Non-compliance may result in heavy monetary fines, sanctions and damage to the reputation of the firm. It is noteworthy to mention the context in which regulation is used in the concept of compliance. The term “regulation” refers to a set of rules and laws that are imposed by a public or private body that has the authority and power to monitor compliance activities and apply any sanctions that may be due to the violation of the compliance rules. Why is compliance important for businesses? In order to delve further into this branch of finance, it is important to understand why it is important and what its benefits are. Compliance matters become more complicated as the business grows and expands. An organization will have added and more complex responsibilities towards its workers, hiring, firing, wages, and other company related matters. Moreover, the buying and selling activities may also be affected if it, for example, falls under the patronage of a government agency. The most understandable results of taking care of compliance regulations is that the risks of fines, penalties, lawsuits, sanctions and business shut down are reduced. When a business does not meet some of the compliance regulations, it may receive a warning from the governing body. However, in other situations, business may have to pay heavy penalties – both monetary and non-monetary. Not taking care of compliance policies may leave a business vulnerable if a client decides to take it to court and file a law suit against it. 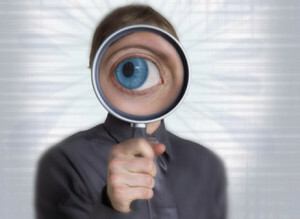 However, if a business takes care of these regulations, then it is quite difficult to damage it. For this reason, businesses must hire relevant professionals such as certified regulatory compliance managers, to take care of all the compliance activities that need to be fulfilled. If compliance is taken care of, business operations may become smoother. An example of this may be the compliance of discrimination and gender equality rules, which may result in employee productivity and lower turnover of employees. Other than the fact that the minimum compliance to regulations can help improve productivity, if businesses become conscious of all the imposed regulations, they will notice that the overall health of the organization and business will improve. A company’s marketing material can flaunt its responsibility towards legal obligations and compliance to legal regulations. This will help strengthen its reputation in the industry. An example of this is that when an organization places job advertisements, it may include that it is an equal opportunity employer. This will attract a larger pool of talented candidates and also leave a positive image of the organization. Many compliance laws are based on the protection of the rights of employees working in an organization. If employees feel that they are contributing to an organization which is conscious of their rights, by providing a safe, professional and productive work environment, they will achieve added job satisfaction and productivity. No business is in the favor of facing criminal charges for not obeying the law. However, with established compliance management, an organization can get the law on its side of the grass. In order to keep track of all the different compliance requirements, it is essential for a business to take care of two main things. Firstly, it must have a proper compliance department that is lead by a certified regulatory compliance officer. Secondly, an organization must have access to a compliance kit. A compliance kit is a software and asset of databases that keep track of all the information and help in auditing, risk management, performance management and other issues. In the past, compliance jobs did not require an extensive education. Rather, a four year bachelor’s degree was enough to land a job in the compliance department. Surprisingly, many people only had high school diplomas, and they were employed in the compliance departments of various organizations. The idea back then was that employees would learn the tricks of the trade on the job. The finance industry has come a long way since then and, although there is still no concept of specialized regulatory compliance degrees, a degree in finance, management , economics, accounting or law is a pre-requisite if one wants to get hired into a compliance department of a firm. Even though a master’s degree is not a requirement, it may still help to acquire one in any of the related fields. Knowledge of other occupations, vocations and functions such as trading and sales. Compliance officers and managers are in high demand all throughout the world. With the ever changing regulations, this trend will continue with the coming time as well. But how do you benefit? The main benefit of this is that salaries are expected to remain high in multiple disciplines including compliance. In investment banking, the highest paying compliance jobs include advisory, monitoring, regulatory and “Know Your Client” or “KYC”. Risk and compliance officer – salary: The average salary of such a professional is approximately $ 64,000 in the United States of America. Risk and compliance Manager – salary: The average salary of such a professional is approximately $94,000 per annum in the United States of America. This entry was posted in Jobs in Finance and tagged #compliance, certified regulatory compliance manager, compliance risk jobs, regulatory compliance degrees, risk and compliance manager salary, risk and compliance officer salary, software compliance jobs.